I am so thankful to L’Oreal Paris for not only understanding this need but also satisfying it by launching a whole new range of pure red lipsticks . Now finding your perfect rouge is easy with L’Oreal Paris Color Riche Exclusive Pure Reds Collection . L’Oréal Paris, the world’s leading beauty brand, exclusively launched the Color Riche Exclusive Pure Reds Collection, a collection of matte reds, in association with acclaimed fashion design house Sublime by Sara. L’Oréal Paris has designed, conceived and created the exquisite range of matte shades red sculpted by semi-tones to offer every woman the perfect matte red to enhance their beauty.
" The Collection is created with a revolutionary and innovative formula that delivers bold, luscious color that lasts for a full 6 hours, making it the ultimate beauty indulgence. The range is enriched with new Light Illum complex that delivers a rich matte effect. The Velvet Fusion capsules and Ultra Gliding Shine Oils provide smooth and silky application. Pure pigments deliver intense color and Jojoba oil gives perfect hydration up to 4 hours." The Pure Reds Collection comes in a matte formula that enhances comfort, offers rich color intensity, and provides femininity and sophistication. 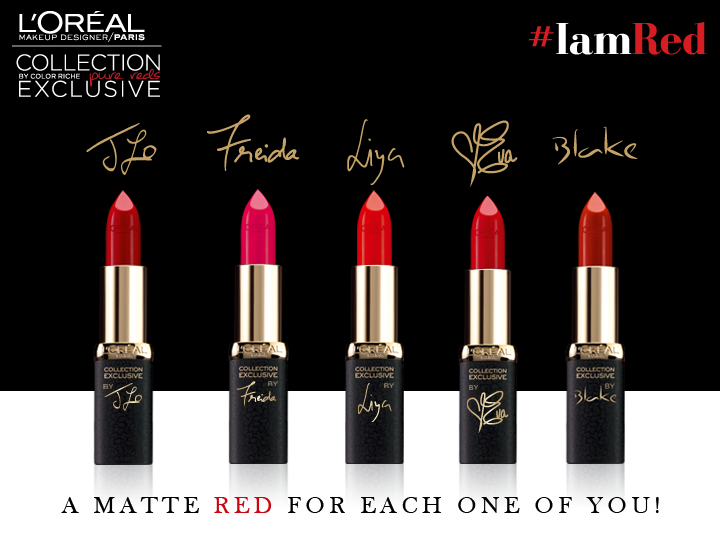 An ultra-feminine collection, the Pure Reds range includes 5 matte shades inspired by international L’Oréal Paris muses; Blake Lively [Pure Ruby], Eva Longoria [Pure Brick], Frieda Pinto [Pure Amaranthe], Jennifer Lopez [Pure Rouge] and LiyaKebede [Pure Scarlato], priced at PKR 1,800. Today I am going to review Frieda's Pure Red from this yummilicious collection . 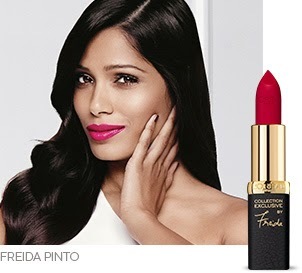 Freida Pinto chose a fuchsia-colored shade that enhances its exotic and sensual charm: rich, precious and unique. I was super excited for this launch . 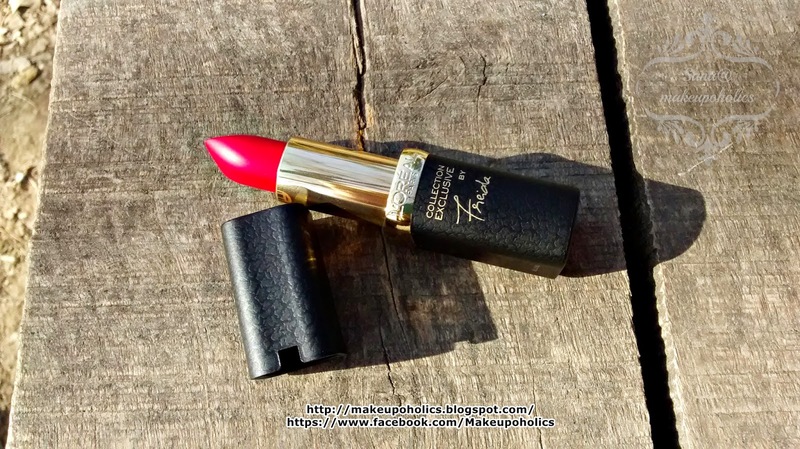 Red is my weakness so i was going really crazy to get my hands on L’Oréal Paris Color Riche Exclusive Pure Reds Collection. After going through the online swatches I was sure that I got the replacement for my Ruby woo. But I was wrong . The real time swatches of much raved Blake and JLO from the collection were not that impressive at all (at least not for me .. also I m mentioning these two shades only while doing their comparison with the world famous and most loved red lipstick Mac Ruby woo) But again , there's a different Red for every lady .. and even Mac Ruby woo isn't loved by everyone. So I decided to try the other shades from the collection and I am glad I made that decision . First of all I must admit that the packaging of L’Oréal Paris Color Riche Exclusive Pure Reds Collection lipsticks is super classy . 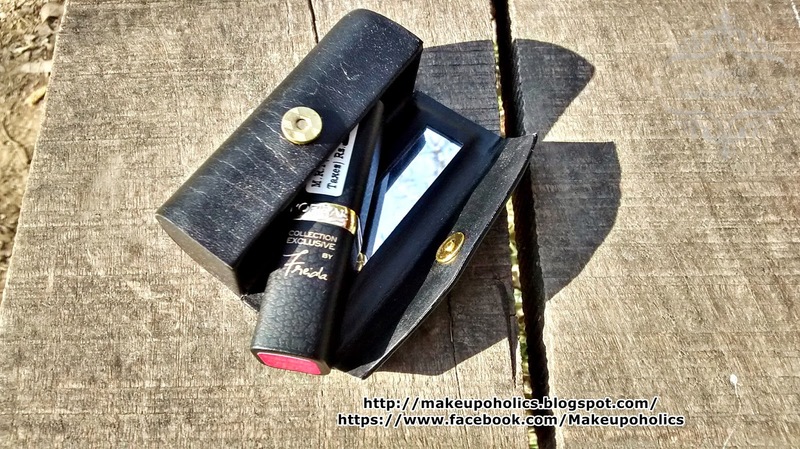 Each lipstick comes in a matte textured black casing signed by its ambassador in golden color , pretty cool huh . Black , golden and red can never go wrong . 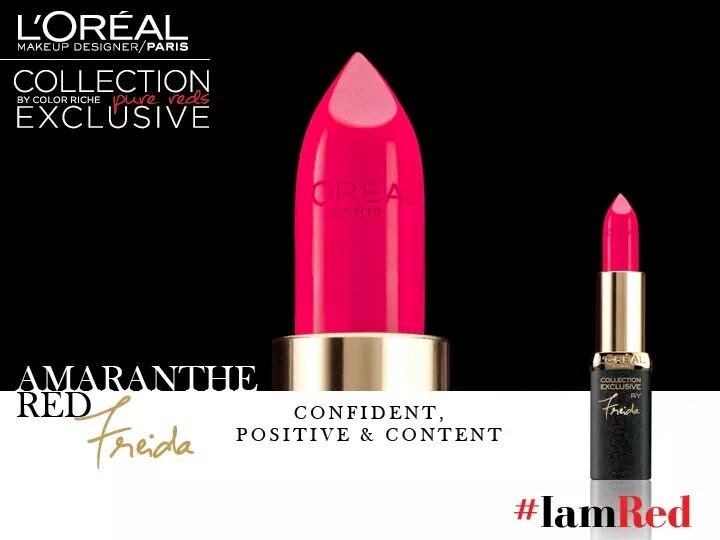 Frieda's Pure Red from L’Oréal Paris Color Riche Exclusive Pure Reds Collection is a gorgeous fuchsia raspberry pink color . Its bright pink color with a red twist in it that you are so gonna love . 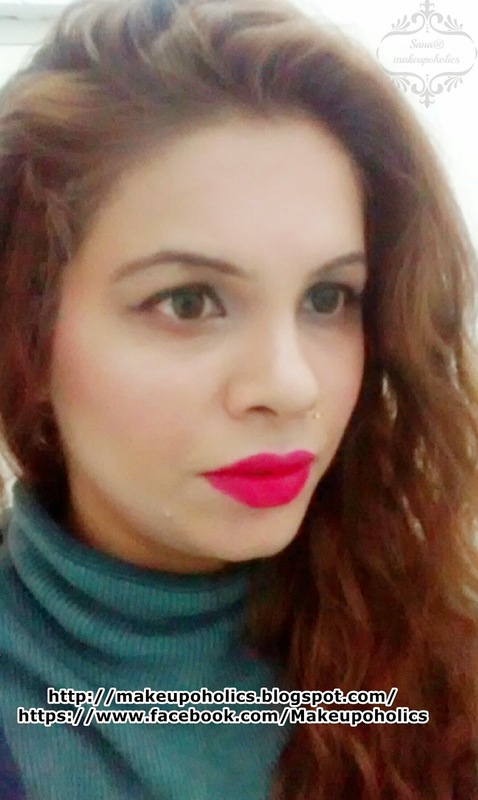 A perfect flattering pink based red lipstick for our desi skin tones is definitely a must have .It may just appears to be a simple bright pink lipstick in the swatches but just try it on your lips and you are definitely gonna love the way it brightens up your face. Frieda's Pure Red from L’Oréal Paris Color Riche Exclusive Pure Reds Collection is highly pigmented and applies smoothly on lips . Also it feels so light on your lips . Its a moisturizing kind of matte so definitely not super matte like MAC matte lipsticks. Another thing I have noticed is that after 2-3 minutes of applying , it dries down to a matte finish but not the Mac kind of matte . 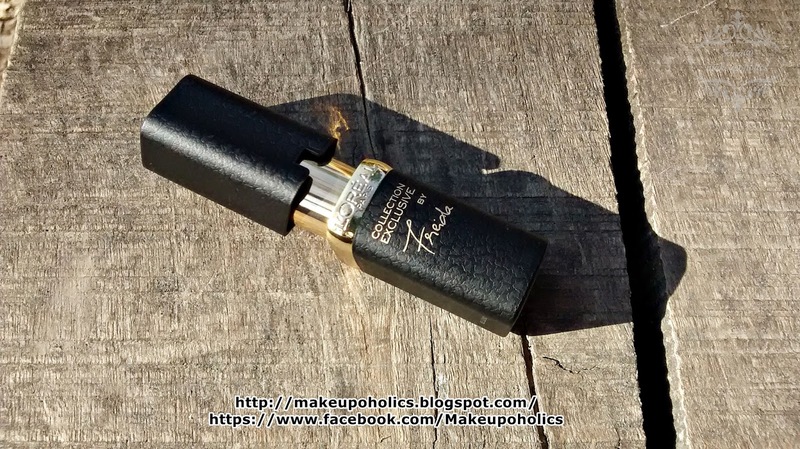 Its matte but still very hydrating which is definitely a plus point and for those who are not into matte lipsticks you can still give it a try because of its semi matte creamy hydrating consistency . 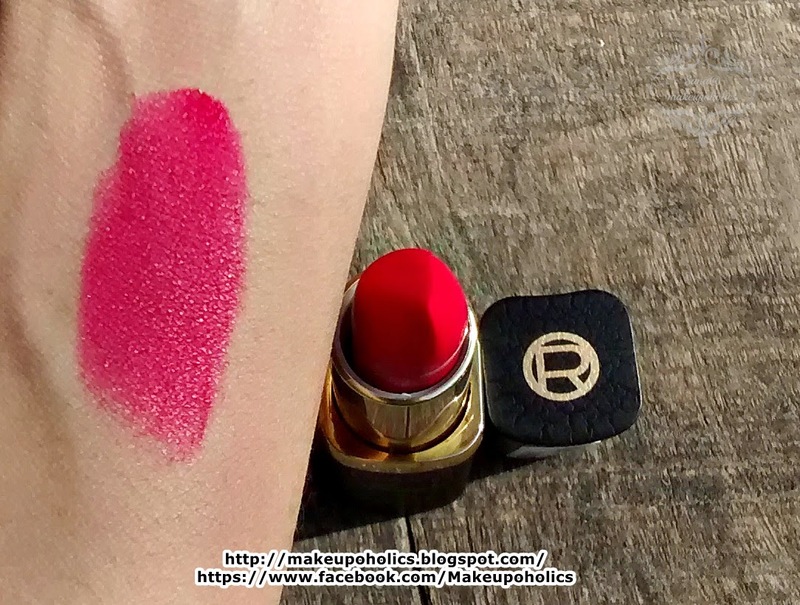 The fragrance of the lipstick is exactly the same that you get from other ranges of L’Oréal Paris lipsticks . The scent fades in no time so no complaints. 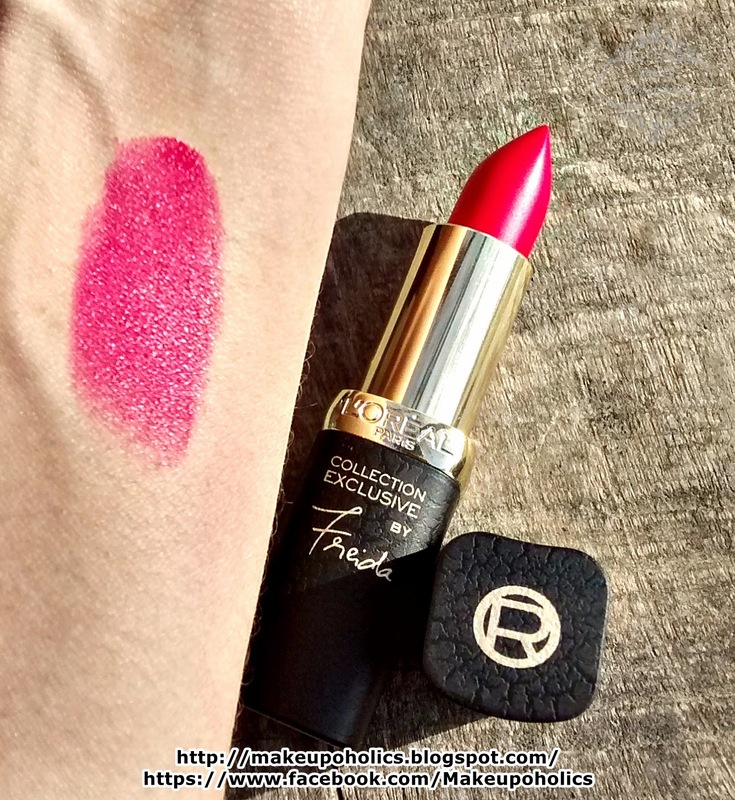 Frieda's Pure Red from L’Oréal Paris Color Riche Exclusive Pure Reds Collection lasts for good six plus hours on my lips . Though after five hours it started fading , appears to be less bright on lips . 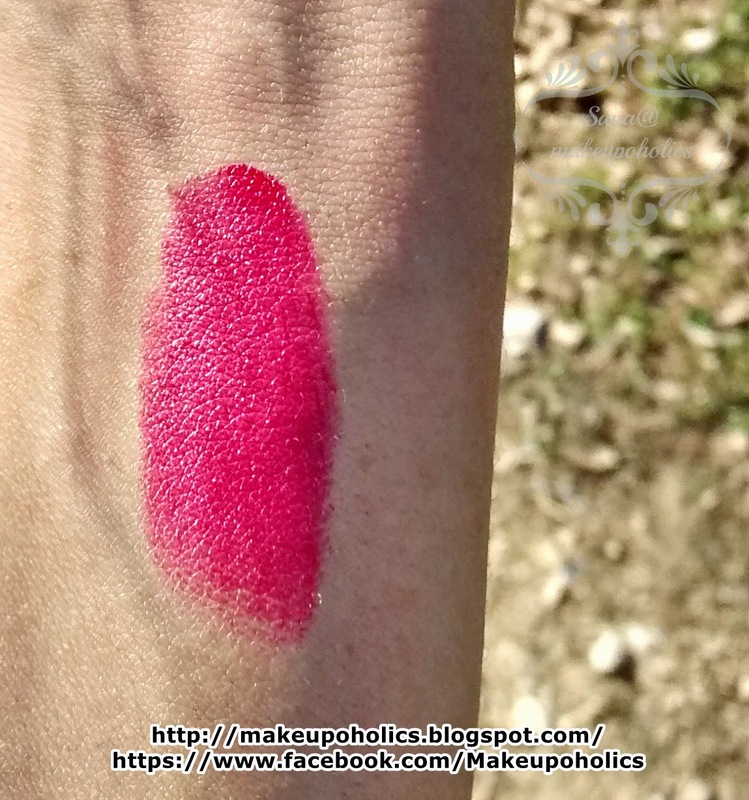 The lipstick is easily transferable because of its hydrating texture but thankfully it does not bleed or fades unevenly . After six hours you can give it a retouch and you are good to go for next six plus hours . Super amazing isn't it ? 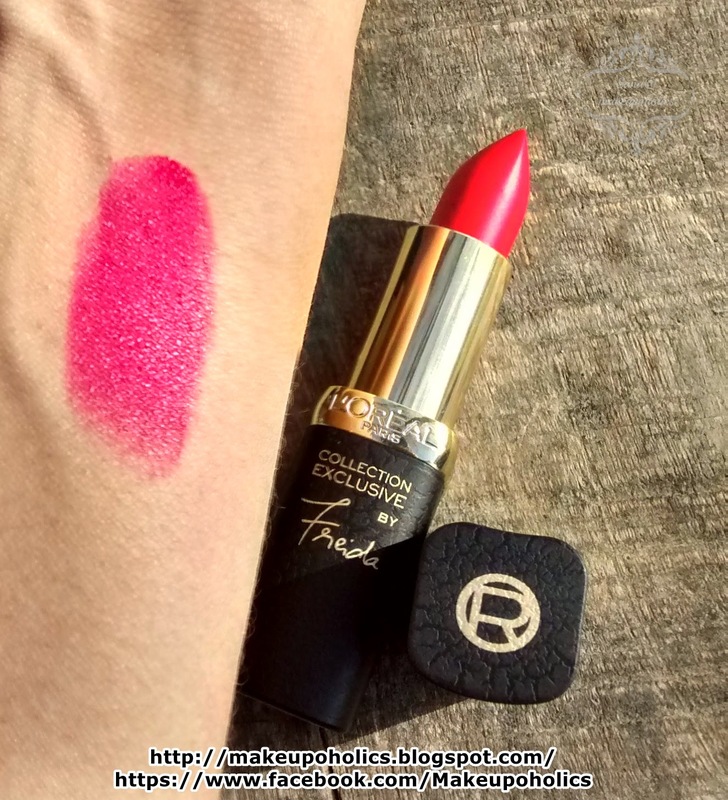 Mac mattes are not very comfortable on lips but Frieda's Pure Red from L’Oréal Paris Color Riche Exclusive Pure Reds Collection is super hydrating and light on lips. Based on all these qualities I think its going to be a great lipstick for those people who love matte lipsticks. You can apply a clear gloss if you want to brighten it up a little bit more .Otherwise, I love it the way it is. 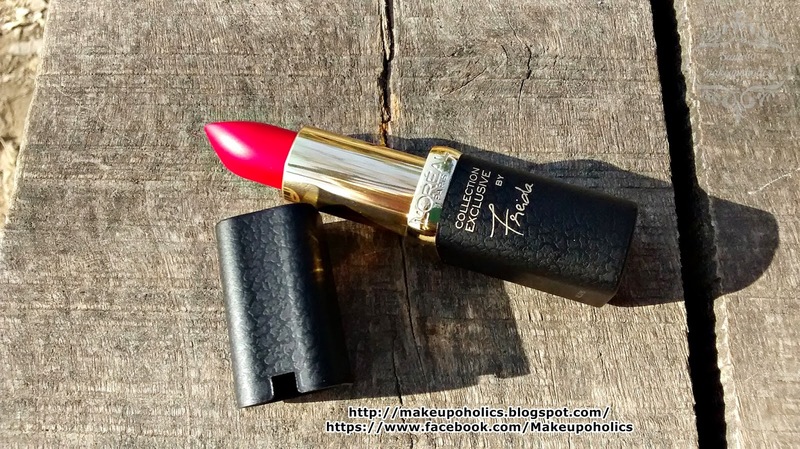 Frieda's Pure Red from L’Oréal Paris Color Riche Exclusive Pure Reds Collection comes with a price tag of PKR 1800 and is available nationwide ( Pakistan). L’Oréal Paris needs to reconsider their prices . Being a drugstore brand , mostly people consider the prices of their products a bit expensive . That would be the the only drawback in my opinion. For more information and updates , check L’Oréal Paris Facebook Page . I was waiting for ur review! It looks so lovely on you <3 & I just love this new range OmG!!! I love my Reds as they contract well with my caramel complexion. But I am not that into matte lipsticks, that said, I will check it out coz you are so in love with it :) thanks for sharing! The lipstick casing look real cool. Gorgeous shades of red too! I like trying bright colours, but I find it a waste as I know I will never finish that whole tube! i love the packaging! it's so sleek and pretty! was really into lippies a while back but not anymore. i find that it never last on my lips because i'm constantly eating. haha! OMG! 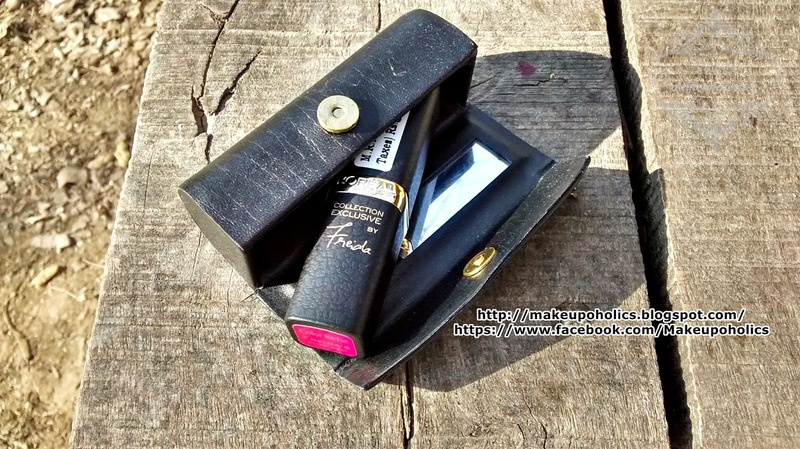 I love the packaging, concept and of course the high pigmented lip color. I wish to try it but it is not available yet in my country. I love love love red lipstick - I cannot live without it, lol. I have tons of it and I will definitely check out this line from L'oreal. A girl can never have too many red lippies. I'm just not so good with the matte kind, so hopefully I'll find one that'll suit me well. mmm...its a good one...bt the prices are getting higher with Loreal as Mac lippie starting price is 2000 in some stores still! The bright red shade makes it really stand out. This would be really make ladies lovelier. It would be great to try all of them and then have us choose which one we love best. I like red lipstick too. Looks good on you. 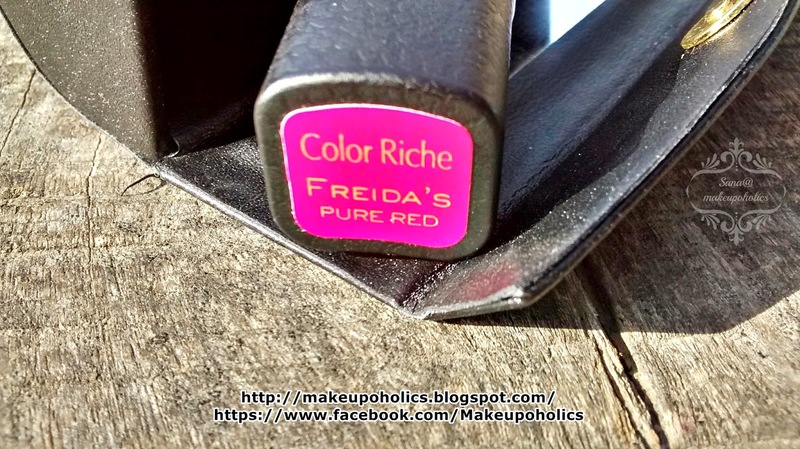 Freida's pure red is awesome! I love the rich dense color, the fuchsia shade is my favorite tint, you look awesome with that lipstick! I cannot imagine there were so many kinds of red until I saw them side by side like this. I am pretty sure there is only one that fits right for any girl. I know little about girl stuff. But one thing I am pretty sure the product suits your taste. Also love the shade you pick. It's actually difficult to find matte lippies which are hydrating, so this is definitely a plus. Love the color on you! Love the colour!~ It's so striking and bright reddish!~ Looks so nice! That's one pure red. Plus Red happens to be my favorite color. Awesome review for every lady. Hope it doesn't affect kissing? I'm a red lippie lover! Thanks for sharing these products. Will surely check them out. This shade really flatters you! Sadly, I prefer my red lipsticks to be really red and warm-toned. Will check out our local L'Oreal counters this weekend to see if we already have the Color Riche Exclusive Pure Reds Collection here. :) Thanks for this review!